If you’re tackling a bathroom remodel project and you’re looking for inspiration, you’ve come to the right place. Whether you’re making small upgrades or going for a full overhaul, we’ll walk you through the process from start to finish, helping you to transform your Pinterest ideas into reality. From luxurious bathrooms with skylights to budget bathrooms, from contemporary, marble-clad spaces to rustic decors, our pages are filled with inspiring ideas for your own renovation, including cabinets, tiles, furniture, lighting and more. Today we’re going to get your decoration gears going with 20 walk-in shower ideas that will turn your bathroom into a modern, stylish space! 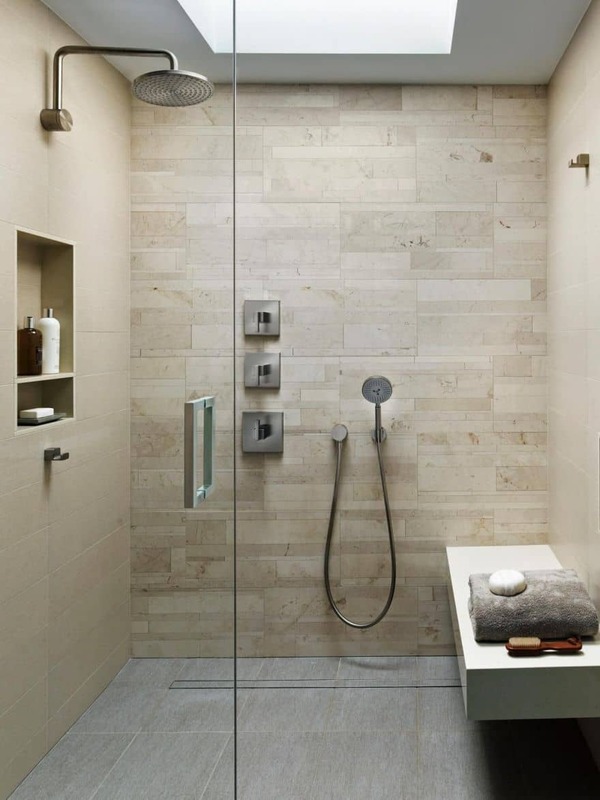 If you want to style your bathroom along the modern lines, a walk-in shower is a perfect choice. Walk-in showers have become a symbol of modern bathrooms (and stylish, we add on). Very functional and chic, they are the best ones to fit in small bathrooms. Compared to the bulky bath/shower combo that most homes typically have, walk-in showers allow for maximum utilization of a bathroom’s space. Another major advantage that comes with having a walk in shower is that it’s much easier to use. This type of enclosure is ideal for people with less mobility, such as the elderly and young children. Not only are they practical in the way that they are easily accessible, but they are also easy to clean. Minimal hardware equals minimal cleaning. One of the great things about a walk in shower is that you’ll get a designer look that adds value to your home. 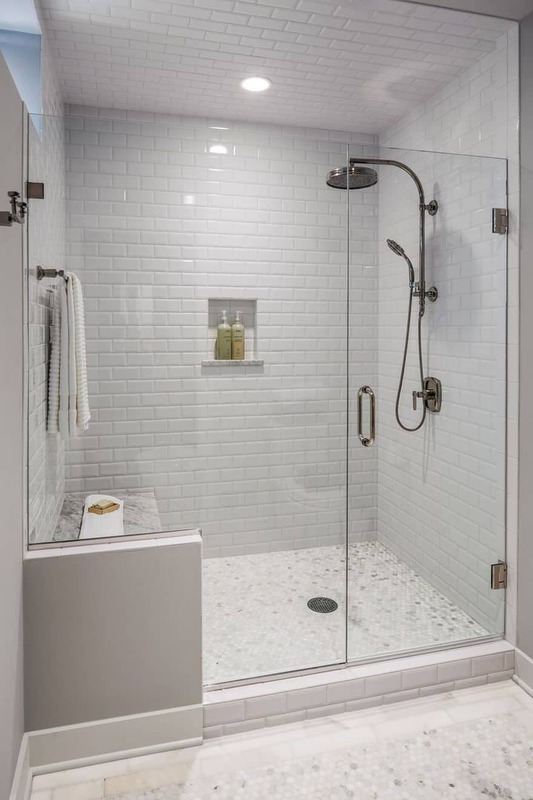 With more homebuyers being geared towards a modern approach to bathroom design, walk-in showers can increase your home’s value if you decide to sell. When it comes to aesthetics, walk-in shower offers endless possibilities. Due to its versatility, it can be designed to meet one’s specific needs. It can be adapted in many different ways and with very different characteristics, types of doors, materials and furnished with different accessories. 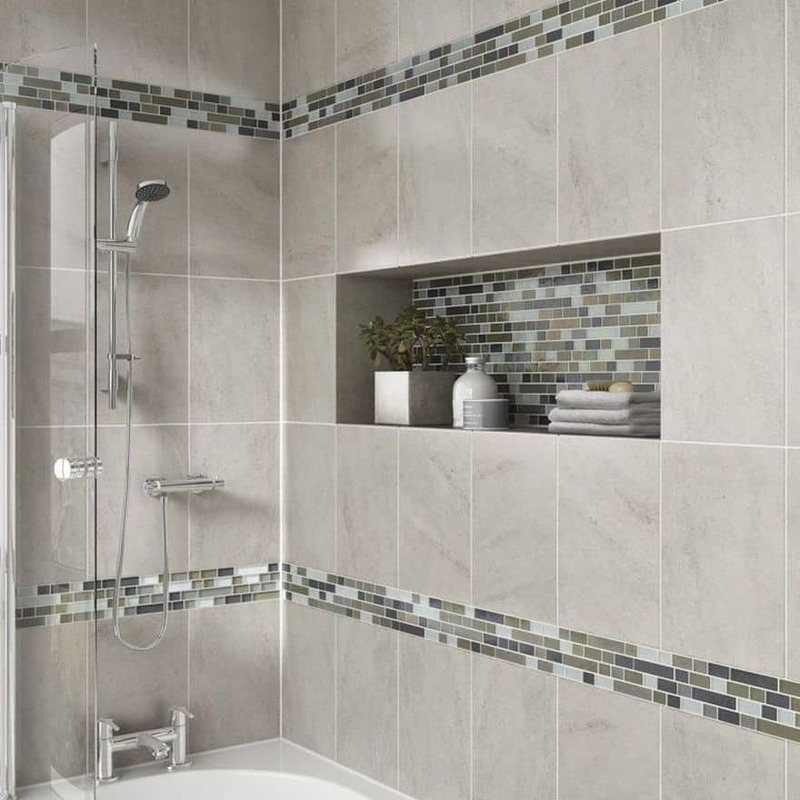 So, walk in showers are contemporary in design, space-enhancing and easy to maintain – if you’re not convinced yet that they are the best solution for your bathroom, check out the walk in shower ideas we’ve gathered below! If you want to bring some wow in your bathroom, choose a walk in shower. It makes a stellar focal point in any bathroom no matter your theme, space, or budget. With a walk in shower, your bathroom can go from boring to beautiful and even dramatic but getting to this point requires creativity, strategy and inspiration. So if want to make your bathroom the sanctuary that you deserve, here are the best walk in shower ideas the Internet has ever seen. Find the ones that reflect the feel of the home and picture them with your special touches. The perfect way to drop some drama into your bathroom, frameless glass showers have increased in popularity in recent years as homeowners develop a taste for clean and minimalist aesthetics. 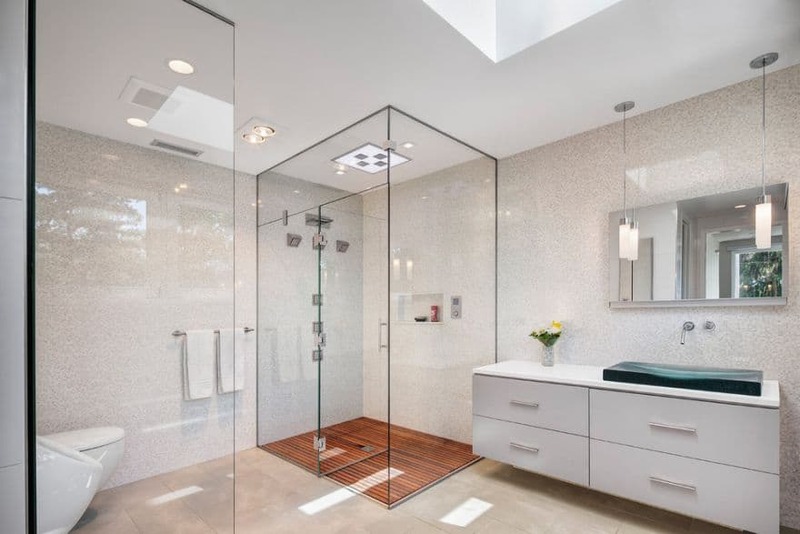 Depending on the size of your bathroom, you can create a design where the walk in shower enclosure is made of one or two glass panels or even complete with glass shower panels and doors. The addition of sleek and stylish glass doors brings in a nice roomy feeling and a touch of minimalism. If you opt for a complete glass walk in shower enclosure you’ll get an uninterrupted view of the tiles, boosting your bathroom to the next level. This beautiful floor-to-ceiling walk in shower enclosure looks amazing. It creates an airy look and calls out as the bathroom’s main attraction. Frameless glass showers give you the opportunity to use artistic and creative tile. 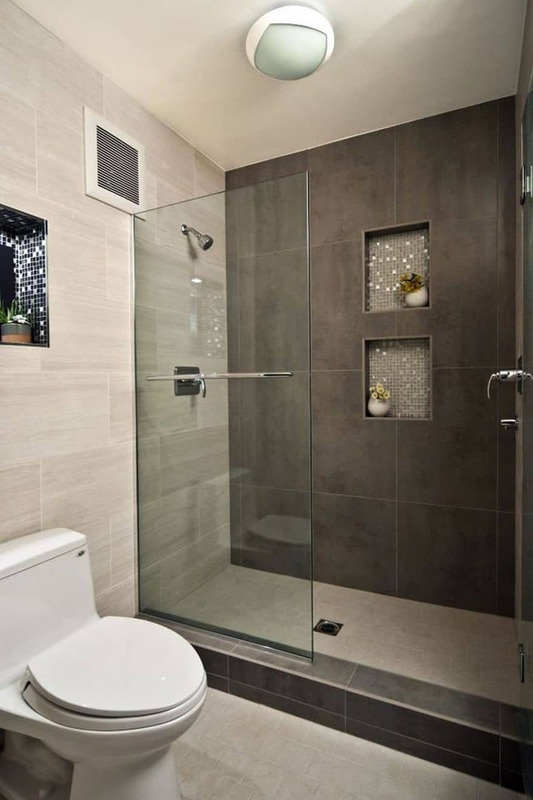 Due to their openness and transparency, frameless glass showers put your bathroom tile design on display. 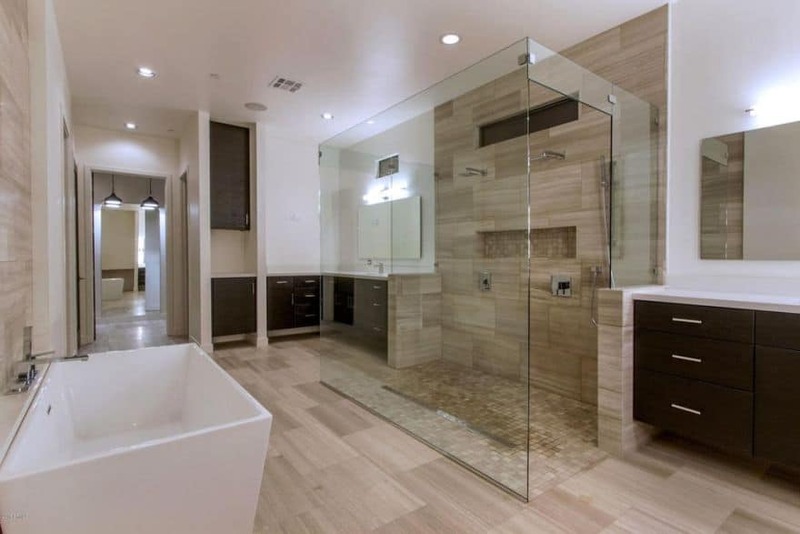 Frameless glass showers help a bathroom feel larger and more open. No longer just a space to get washed, a spa-inspired walk in shower is a place to relax and to let all the problems go far away. Spa inspired walk in showers are all about creating a sense of relaxation and well-being. Regardless of the size or shape of the bathroom space, you can design your own private spa by using the right materials and textures. Choose soft earth tones for paint colors, use wood for the shower floor and add a touch of greenery and even art elements in the bathroom. A spa inspired walk in shower allows you to enjoy a sensational showering experience. If you want to get that spa-like experience, a rainfall shower head is the right choice. Also go for white or grey fluffy towels. Small details make all the difference. If you’ve got the room, add a wood bench for a touch of comfort and style. Create your own spa oasis with a walk in shower. 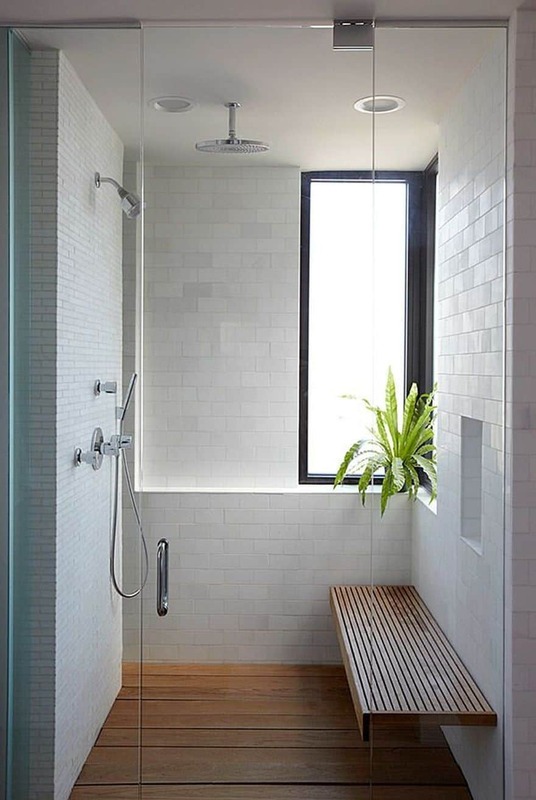 These dreamy spa-inspired walk in showers will help you escape the stresses of everyday life. Besides their functionality, walk in showers give you the possibility to make a statement in your bathroom with creative tile motifs. If you want to add a luxurious and relaxing feel in your bathroom, then a mixed tile look in the walk in shower enclosure is the perfect way to do it. Or show off the entire space with mosaic, travertine, or ceramic textured tiles to achieve the look of a high-end shower. 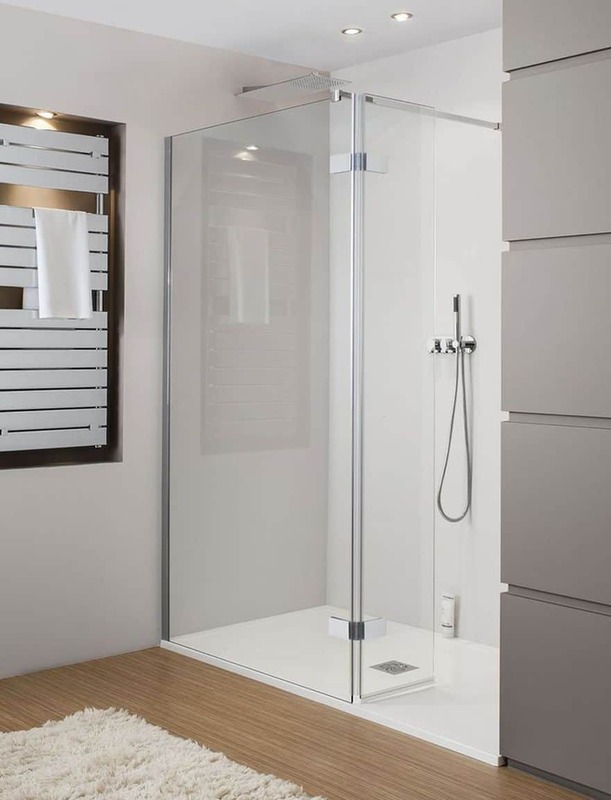 Frameless glass showers are the perfect way to make a statement in your bathroom. Add a horizontal decorative border or a vertical one down and you’re set. 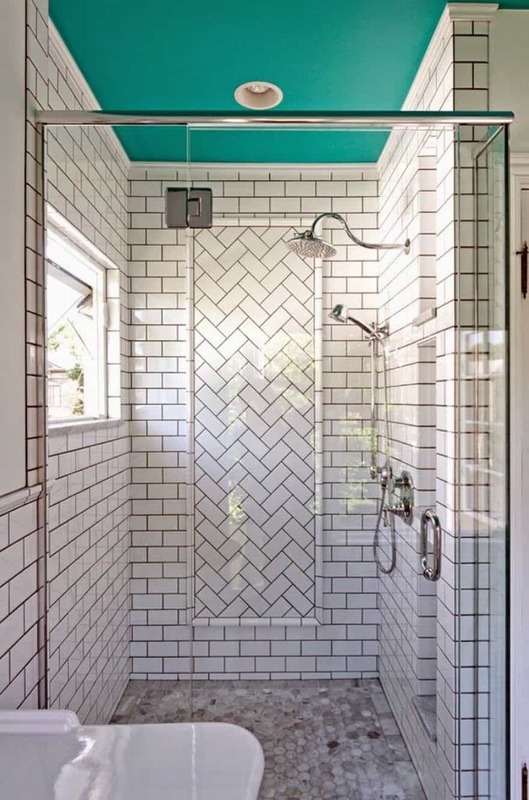 To achieve the look of a luxurious shower, you’ll want to use some updated tile. The beautiful geometric pattern creates a retro effect in this amazing bathroom! 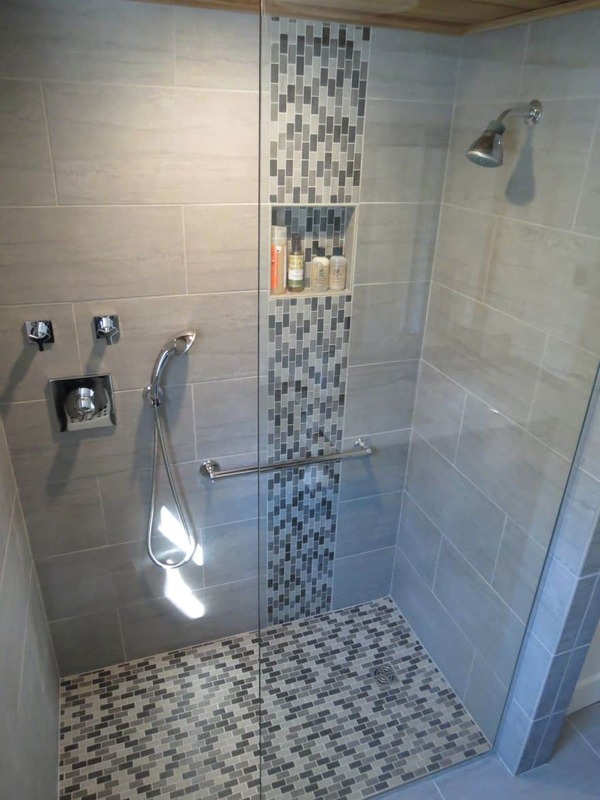 You can use mosaic tiles to make a decorative feature in your walk in shower. 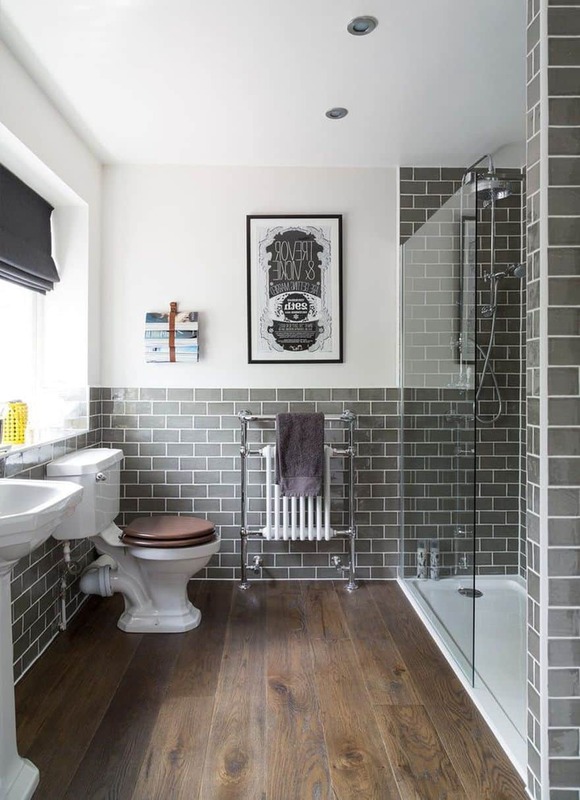 The grey metro tiles in this bathroom are calming and a natural complement to the wooden floor. As you can see, these stylish walk in showers come in a variety of shapes, colors, and sizes. Go for the style speaks to you, add a personal touch and design your own dream bathroom!